On April 2, Iran and six world powers reached agreement on the parameters of a deal that would set limits on Tehran’s nuclear program and remove the sanctions that have been imposed on Iran because of that program. The six-country group is known as the P5+1 because it comprises the five permanent members of the UN Security Council—China, France, Russia, the United Kingdom, and the United States—and Germany. The April 2 agreement, which was reached in the Swiss city of Lausanne, marks the first time that the five Security Council members have acted collectively to prevent a state from acquiring a nuclear arsenal. German participation makes the effort all the more significant because the negotiating group included as an equal partner a state that does not possess nuclear weapons. The Lausanne accord is to serve as the basis for a comprehensive agreement, which is to be finalized by June 30. Once it is concluded, the comprehensive agreement would place the International Atomic Energy Agency (IAEA) at center stage with the task of verifying that Iran continues to honor its commitments. During the negotiations on Iran’s nuclear program, a major question has been what the role of the IAEA will be in implementing the final agreement. Some observers have wondered whether the agency can be effective, given the turmoil in the Middle East, political strains affecting international support for IAEA safeguards, the limitations of verification technology, and the IAEA’s need for continuing financial and technical support. Independent of developments in the coming years affecting security in the Middle East, the IAEA must remain scientific in its approach and diplomatic in how it works. The future of the region, the international nonproliferation regime, and international security demands nothing less. In verifying Iran’s compliance with its commitments, the IAEA must assume that Tehran might decide to act to acquire nuclear weapons. Imagining how Iran might evade agreements, the IAEA will organize its monitoring activities to take into account Iran’s past noncompliance and the issues remaining from the 2013 Joint Plan of Action, an interim agreement with specified verification measures to be undertaken by the IAEA. Another key issue is the alleged past weapon activities—the “possible military dimensions” of Iran’s past nuclear work, as the agency refers to them—based largely but not solely on national intelligence information provided by more than 10 IAEA member states. In a sense, the IAEA has been preparing for this role since it first opened for business in 1957. Today’s IAEA bears little resemblance to that initial version of the organization. In the intervening years, the IAEA had to overcome several major challenges. First, it had to set up the world’s first international inspection system that required sovereign states to allow foreign inspectors into their nuclear establishments, question national practice, and make independent measurements and observations to verify that specific facilities, equipment, material, or even know-how was not being used to support a military activity. Then came expansions to place safeguards on complex nuclear facilities, including uranium-enrichment facilities, fuel manufacturing plants, and spent fuel reprocessing plants. Until 1970, however, all safeguards applied by the IAEA were restricted to verifying that specified items defined in each safeguards agreement were not used to further any military purpose. In 1970 the nuclear Nonproliferation Treaty (NPT) entered into force. The treaty imposed additional requirements, including a formal commitment by each non-nuclear-weapon state not to seek nuclear weapons and a requirement for these states to submit all nuclear material and all nuclear facilities to IAEA safeguards. To verify the NPT, the IAEA now would have to consider each state as a possible adversary and conduct its inspections to provide assurance that each state continued to honor its nonproliferation commitments. Through the 1970s and 1980s, the IAEA applied safeguards under the NPT concentrating on declared facilities, attempting to provide a conclusion for the actions of each state on the basis of what it observed. In the early 1990s, nuclear weapons programs were discovered in Iraq and North Korea in violation of their NPT commitments and their safeguards agreements with the IAEA. Those discoveries forced a fundamental reassessment of the IAEA safeguards system’s ability to cope with states that would violate their commitments and strive to acquire nuclear weapons. NPT states intent on acquiring nuclear weapons would take advantage of their ostensibly peaceful programs, seek foreign support through overt cooperation or false pretenses, make use of black markets, and attempt to obtain critical goods and services from individuals, commercial firms, and government officials by buying, stealing, or subterfuge. The cases of Iraq and North Korea forced the international community to strengthen the IAEA safeguards system to meet credible threats, including Iran. The changes required IAEA member states to be more forthcoming with information on potential proliferation cases and required the IAEA to take a broader, more forensic approach to verification. This forensic approach involved identifying various actions that a state could take to achieve each step in the process of acquiring nuclear weapons, seeking to identify existing capabilities and new efforts the state might pursue by relying on indigenous and external resources. Although the IAEA had long-established procedures for protecting “safeguards confidential” information, more-stringent requirements were needed to enable the agency to receive, collate, analyze, and act on information that might reveal proliferation. 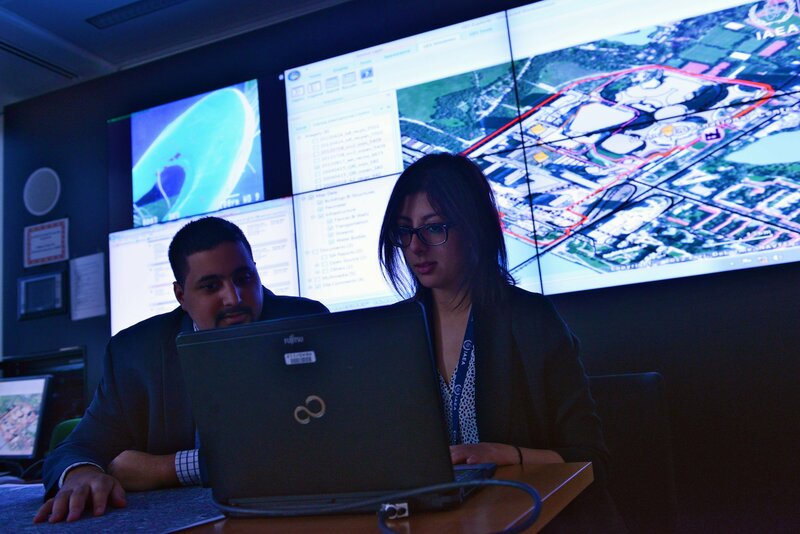 Through the past 20 years, the IAEA has continued to develop its capabilities for detecting clandestine programs, teaching inspectors new skills, making use of growing commercial satellite imagery services, and building its own forensic analysis capabilities. These include a new IAEA laboratory for environmental sample analysis, which is supported by a network of affiliated national laboratories available to augment and extend the agency’s in-house efforts. The IAEA staff numbers about 2,500, of which about 800 are involved in the safeguards program. The Department of Safeguards includes three operations divisions, divided geographically; a division of information management responsible for analyzing all information available to the IAEA in support of the operations divisions; a division of technical support responsible for the development, procurement, supply, and maintenance of safeguards equipment used by inspectors in their activities; a division of concepts and planning to carry out threat assessments and devise approaches to counter potential and current threats; and an analytical laboratory to measure samples collected by inspectors from declared facilities and other locations. The IAEA created the Iran Task Force within the Department of Safeguards, reporting directly to the deputy director-general for safeguards. The task force is responsible for all technical activities that now are carried out under the Joint Plan of Action and presumably will be carried out under the new agreement between Iran and the P5+1 when it enters into force. The task force, whose staff now numbers just under 50, has been authorized to choose the IAEA’s most capable inspectors and analysts. To carry out its mission, the IAEA must have clear legal authority allowing it to send inspectors into Iran and enabling the inspectors to complete their assigned activities. Like all countries that have safeguards agreements with the agency, Iran provides diplomatic immunity for IAEA inspectors and must protect them against harm. Legal authority for IAEA verification includes the existing safeguards agreement and new authority that will be forthcoming with the entry into force of the anticipated final agreement. In the aftermath of discovering the nuclear weapons programs in Iraq and North Korea, the IAEA board determined that the safeguards system needed new capabilities to cope with future threats. Some of the new capabilities were deemed to be within the legal authority of the existing safeguards agreements based on INFCIRC/153, and those were implemented immediately. These included starting design-information verification before construction begins on new facilities, and continuing to verify design information over the life cycle of a facility. Other new capabilities were deemed to require new authority going beyond the safeguards agreements based on INFCIRC/153. These new capabilities are now included in a protocol to the safeguards agreements, to be concluded by states based on the 1997 Model Additional Protocol. These new capabilities are aimed at enabling the IAEA to detect clandestine nuclear facilities and the misuse of declared facilities by providing easy access to any location within a state when the agency has questions regarding the nature of the activities thought to be under way. Iran had previously allowed its additional protocol to be in force for a two-year voluntary trial period that ended in 2006. As part of the final agreement, Iran is to complete the steps necessary to bring its additional protocol into force. In addition to these two mechanisms, the parties to a final agreement would arrange for the IAEA to be formally assigned its responsibilities under the agreement. The mechanism providing this formal assignment must extend the IAEA’s rights and responsibilities as necessary to ensure its success, going beyond the activities that are currently allowed under Iran’s safeguards agreement and the additional protocol, when it enters into force. This assignment will likely be in the form of a UN Security Council resolution. The IAEA board would have to endorse the Security Council resolution for it to take effect. The comprehensive safeguards agreement and the additional protocol, together with new authority given to the IAEA in the final agreement, would provide the legal basis for all verification activities to be carried out while the final agreement remains in force. When the final agreement expires, the agency’s authority will revert to the comprehensive safeguards agreement and the additional protocol. Between now and then, safeguards practices will continue to evolve, and perhaps some of the provisions of the final agreement will be reflected in the manner in which safeguards are applied in all states where comprehensive safeguards agreements and additional protocols are in force. As it plans for its verification activities in Iran, the IAEA will draw on a number of sources of information. Key starting points will be declarations and information provided by Iran and information from the past implementation of safeguards in Iran, including the activities carried out under the Joint Plan of Action. Among the other critical sources are ongoing design-information verification, safeguards inspections and complementary access visits to declared nuclear installations, and ongoing complementary access and other official visits to other locations of interest identified by the IAEA. 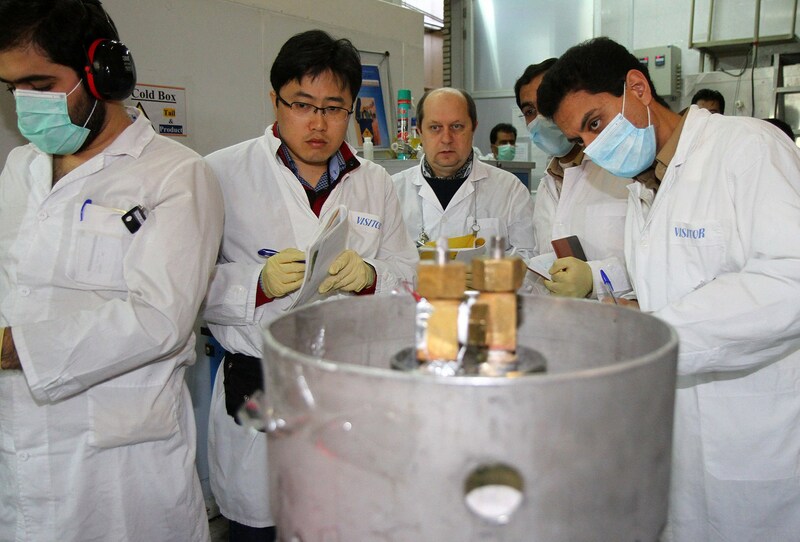 The Iran Task Force will define its verification activities and evaluate its findings by combining this information with information that the Department of Safeguards obtains from analyzing open-source information, informal reports to the IAEA from commercial suppliers of dual-use equipment and material, other IAEA programs, and information provided by IAEA member states, including intelligence information. The IAEA understands the steps required to make nuclear weapons well enough to detect proliferation. A few staff members worked in nuclear weapons programs before joining the IAEA, and member states provide advice when requested, within the limits of Article I of the NPT and the national laws of the nuclear-weapon states involved. The IAEA is not a nuclear weapons laboratory, and it does not train its inspectors to be bomb makers, but it has the background to do the job. It understands how a state that is intent on acquiring nuclear weapons might acquire a workable warhead design; obtain sufficient amounts of fissile material and other specialized materials; design and produce high-explosive lenses, fuzing and arming systems, detonators, and the neutron initiator; master the manufacturing operations required; and assemble the warhead and mate it to a delivery system. If Iran were to decide to attempt to acquire nuclear weapons once the new agreement has been concluded with the P5+1, Tehran would most likely begin with a clandestine program. If such a program were detected, Iran would most likely then stop all IAEA inspections and proceed as quickly as it could to acquire one or more nuclear weapons, making use of all existing materials and capabilities in a breakout scenario. Iran’s past activities are reflected in the verification activities that would be implemented under the final agreement, especially alleged activities having possible military dimensions. Were the alleged activities actually carried out? The extent or nature of past military dimensions of a nuclear weapons program in Iran may never be known. Even a full disclosure by Iran of weaponization activities within its nuclear program would not be accepted as full and complete by skeptics. Yet, measures that are to be put into place by the IAEA to detect possible future clandestine activities have been designed to take account a wide range of possible past activities. The IAEA has to assume the worst, namely that alleged weaponization activities provided Iran with essentially all the information it needed to build nuclear weapons and that the IAEA should adjust its inspection approaches and planning so that it could detect indications of Iran’s possible nuclear weapons development efforts as early as possible. Such a scenario would require the IAEA to carry out some of its inspections very frequently—daily in some cases—and employ real-time remote monitoring of critical capabilities and nuclear material inventories that could be used in breakout scenarios. Although the past activities alleged to be part of a weaponization effort will likely remain clouded in ambiguity, any weaponization activity shown to occur after the entry into force of the final agreement would be considered as evidence of an active nuclear weapons program. As a result, establishing a baseline of what took place where and when will be important for the IAEA’s ability to monitor Iran’s continuing commitments. Taking all possibilities into consideration, the IAEA most likely will organize its verification activities along five lines. Detecting clandestine nuclear weapons facilities in Iran. The IAEA must detect clandestine nuclear establishments as early as possible. Iran has mastered centrifuge enrichment technology and has constructed undeclared—that is, clandestine—enrichment plants. It is possible that Iran has other facilities that have not been detected. These facilities could include centrifuge production plants; plants to convert concentrated uranium ore, known as yellowcake, into uranium hexafluoride, the chemical form required for enrichment; one or more enrichment plants; plants to produce highly enriched uranium (HEU) metal; machine shops to produce warhead components; and plants required to produce all of the remaining warhead components. Because natural and depleted uranium are identical to HEU in chemical and metallurgical properties and are relatively easy to acquire, the steps required to produce nuclear warheads from HEU can be rehearsed well in advance so as to be ready when required. Although the risks of being discovered by Iranian dissidents, national intelligence services, or the IAEA would be substantial, Iran could choose to construct new facilities after the new agreement enters into force, using its experience to conceal the construction and operation of such sites. The expertise developed at its declared enrichment plants and centrifuge manufacturing plants would give it an enormous head start. The IAEA has a satellite imagery analysis unit with extensive contracts for commercial imaging services, and further improvements of this capability, including enhanced optical resolution, infrared and radar imaging, automated change detection, and ultra-high definition video streaming, are being pursued through IAEA support programs. The ability of the IAEA, bolstered by national intelligence programs and possibly Iranian dissidents, would make constructing a new enrichment complex like Fordow unlikely. Given Iran’s knowledge of satellite imagery capabilities, if Tehran were to create new clandestine facilities, it might try to hide them in cities, possibly under industrial facilities, hospitals, or shopping malls, or on military bases9 rather than building them underground in remote parts of the country. National intelligence services employ methods, such as spying and intercepting communications, that are beyond IAEA capabilities. States share their findings with the IAEA in part to allow the agency to pursue inspections on the ground, using its legal authority under the watchful eye of the international community. Combining detection efforts in these ways would increase the chances that clandestine facilities would be detected if Iran were to choose to construct such facilities. Monitoring declared nuclear installations to detect misuse. Three complementary methods are used by the IAEA to detect the misuse of a declared nuclear facility. Inspectors verify the facility’s design information frequently to see if there have been any changes that have not been declared. Such changes might alter the capabilities of a facility, make it possible to conceal undeclared activities, or draw into question the validity of the safeguards approach adopted by the IAEA. Inspectors also observe ongoing operational activities frequently and make use of monitoring systems to ensure that there are no undeclared activities. The monitoring systems might include video surveillance or measurement systems that track activities or plant performance. In addition, the inspectors collect environmental samples that would show HEU particles within or around declared enrichment plants. At the Natanz enrichment plant, the IAEA may continue daily inspections, which include environmental sampling. The agency will employ remote monitoring at other facilities to acquire essentially real-time information to determine whether the operations carried out there conform to official declarations. Detecting diversion of declared nuclear materials from declared facilities. A key goal of IAEA inspections is to verify that no declared stocks of nuclear material are diverted, especially nuclear material that might be quickly converted to weapons-usable forms under a breakout scenario. The IAEA typically is alerted to the diversion of declared nuclear material in a number of ways. It can detect the removal or alteration of objects containing nuclear materials that the IAEA has sealed or placed under video surveillance, or it can employ accountancy methods to detect shipper-receiver differences and material unaccounted for that exceed limits set by measurement uncertainties. These practices require that IAEA inspectors make independent measurements of the physical inventory at a facility, monitor and measure all shipments into and out of that facility, and close a material balance—that is, an apparent discrepancy with regard to the amount of material that entered the system, left the system, and remains—by another physical inventory at a later time. The actual amounts of shipper-receiver differences and material unaccounted for are compared with the associated measurement uncertainties. When a shipper-receiver difference or material balance shows that some material actually is unaccounted for, a determination is made whether the amount is within the combined measurement uncertainties. If it is not, further investigation is required. These procedures are well established and, given the current quantities of nuclear material in Iran, would detect diversion of a fraction of the amount necessary to manufacture even one nuclear warhead. Monitoring potential supply arrangements through which Iran might secure external assistance. Iran might be able to secure assistance from other states or from commercial companies. Such assistance might be overt if the other state or states support Tehran. Iran also may use deception to acquire specialized material, equipment, or know-how. Iran may make use of black markets or front companies. It might offer substantial payments or threaten violence to achieve its aims. Some commercial suppliers of dual-use equipment, such as vacuum pumps used in enrichment plants currently notify the IAEA when they receive suspicious orders for their products. Monitoring agreed limitations on Iranian capabilities. Under the Lausanne accord, Iran has accepted limitations on existing nuclear capabilities and materials and monitoring of activities beyond those accepted by other states. Under the existing safeguards agreement and the additional protocol that Tehran has agreed to bring into force, the IAEA will have the authority to verify most of the agreed provisions. Some of these activities can be considered as design information subject to examination and on-site verification. Others, such as monitoring the production of centrifuge machines, go beyond the current scope of IAEA safeguards. Tasking the IAEA with verifying the provisions of the final agreement will likely include a clear authority for these activities. In the negotiations leading to the Lausanne accord, much of the focus was on preventing Iran from building a weapon within a minimum period if Iran were to break its obligations and proceed at full speed in that direction. The IAEA will likely anticipate that if Iran were to pursue nuclear weapons development, it would attempt to avoid or delay discovery and, if it is discovered or decides to announce its intentions, attempt to make as many weapons as quickly as possible using all means available to it. If Iran breaks out, the course it is likely to choose would be a combination of actions chosen to optimize its chances of getting to a position in which it could blunt diplomatic sanctions or military intervention aimed at forcing it to stop. It would most likely build in feints and fallback options, depending on how events would unfold. Iran may attempt to delay detection, for example, by denying IAEA inspectors access to declared installations. It might claim that access is unsafe due to nuclear accidents, that terrorist activities make it essential to stop all foreign access, or that civil unrest leaves the government unable to guarantee the safety of the inspectors. Little imagination is required to come up with a plausible excuse. The IAEA will need to take steps that provide continuity for its monitoring tasks, relying on human surveillance and installed equipment. Any breakout would quickly be detected. Therefore, if Iran decided on a breakout plan, it likely would marginalize the IAEA by withdrawing permission for the agency to enter the country. Iran almost certainly would pursue development of HEU weapons at first, at least until it had deployed a number adequate to protect it from military intervention. Later, Iran might pursue plutonium weapons development, but it would likely not be able to do so for several years because it will take much longer to produce the required quantities of plutonium using the reactor at Arak with its modified design. Creating clandestine copies of that reactor and the associated reprocessing operations would carry a very high risk of detection. Iran probably has learned everything it needs to know to build a nuclear weapon, and the IAEA should proceed on that assumption. In particular, the agency should assume that Tehran could have developed and tested all the non-nuclear components needed for a nuclear weapon; mastered all the processes necessary to take highly enriched uranium hexafluoride, convert it to an appropriate metal alloy, and machine the shapes required to complete its weapons; and set aside missiles to await final warhead assembly and installation. In other words, the IAEA should assume that Iran needs only to obtain enough HEU to proceed. This perception will hopefully change for the better as the final agreement is implemented. If Iran opts for nuclear weapons development, it would have to design a program that would avoid or delay discovery and then proceed at top speed if it is detected. It would have no other options. If Iran and the P5+1 can resolve their remaining differences and reach a final agreement, that would be a very significant development for Iran and for the nonproliferation regime. Yet, it may not settle all the issues surrounding the country’s nuclear program. It will take many years to determine whether the agreement ultimately contributed to regional security or merely provided an interlude in which Iran covertly advanced its capabilities, biding its time. Iran continues to meet its obligations and never pursues any activity related to acquiring nuclear weapons. This is the ideal situation and one that should be pursued by all states. Iran considers breaching its obligations, but is deterred because the risk of being detected and the consequences to follow would be unacceptable. Iran breaches its obligations, and its actions are detected, perhaps by the IAEA, in time to allow responses through collective political mechanisms or direct actions by states that would be threatened by a nuclear-armed Iran. Iran violates its commitments and is not detected. Iran waits for the limitations to expire and then continues to pursue a nuclear weapons capability, although that will take a long time and, during that time, detection capabilities may further improve and the political climate could change. If the IAEA receives the support it needs, which is likely, it will be able to verify Iran’s commitments effectively. Even the skeptics should have confidence that if Iran changes course, IAEA verification will work in time for intervention to prevent Iran from acquiring a nuclear weapon. Thomas E. Shea, currently an independent consultant, served for 24 years in the International Atomic Energy Agency’s Department of Safeguards, where he was responsible for developing and applying safeguards in a wide variety of nuclear facilities. He later was sector head for defense nuclear nonproliferation programs at the Pacific Northwest National Laboratory. This article draws from work on a longer piece that was sponsored by Search for Common Ground and the Program on Science and Global Security at Princeton University. 1. See International Atomic Energy Agency (IAEA), “Communication Dated 28 November 2013 Received From the Permanent Mission of the Islamic Republic of Iran to the Agency Concerning the Text of the Joint Plan of Action,” INFCIRC/856, November 29, 2013; Arms Control Association, “Implementation of the Joint Plan of Action at a Glance,” February 2015, http://www.armscontrol.org/Implementation-of-the-Joint-Plan-of-Action-At-A-Glance. 2. See IAEA Board of Governors, “Implementation of the NPT Safeguards Agreement and Relevant Provisions of Security Council Resolutions in the Islamic Republic of Iran: Report by the Director General,” GOV/2011/65, November 8, 2011 (hereinafter GOV/2011/65), annex (“Possible Military Dimensions to Iran’s Nuclear Programme”), para. B.13. 3. Article VIII.A of the Statute of the IAEA provides that “[e]ach member should make available such information as would, in the judgement of the member, be helpful to the Agency.” See IAEA, “The Statute of the IAEA,” November 17, 2014, https://www.iaea.org/about/statute. 4. IAEA inspectors are trained scientists and engineers, and many hold advanced degrees. It takes about two years of course work and on-the-job experience before an inspector is ready for field assignments. 5. Entry into force depends on the relevant practices of each state involved. Whether it involves a ratification process or an executive determination by the government, it is common that a state exchanges letters with the other parties to an agreement when the requirements of that state have been satisfied. 6. IAEA, “The Structure and Content of Agreements Between the Agency and States Required in Connection With the Treaty on the Non-Proliferation of Nuclear Weapons,” INFCIRC/153 (Corrected), June 1972 (hereinafter INFCIRC/153). For the text of the Iran safeguards agreement, see IAEA, “The Text of the Agreement Between Iran and the Agency for the Application of Safeguards in Connection With the Treaty on the Non-Proliferation of Nuclear Weapons,” INFCIRC/214, December 13, 1974. 7. INFCIRC/153, arts. 1, 2. 8. IAEA, “Model Additional Protocol to the Agreement(s) Between State(s) and the International Atomic Energy Agency for the Application of Safeguards,” INFCIRC/540, September 1997. 9. Safeguards agreements based on INFCIRC/153 include a provision for special inspections, which in principle can be implemented at any location within a state or under its jurisdiction. A requirement for consultations with the states makes this provision very cumbersome. A request for a special inspection in North Korea was refused, and the underlying questions that prompted the request remain unresolved to this day. 10. For example, see Matthew Ferguson and Claude Norman, “All-Source Information Acquisition and Analysis in the IAEA Department of Safeguards,” IAEA-CN-184/048, n.d., https://www.iaea.org/safeguards/symposium/2010/Documents/PapersRepository/048.pdf. 11. Safeguards agreements based on INFCIRC/153 require the state to declare every facility and provide information on its design and operation according to a specified design-information questionnaire. IAEA inspectors are allowed to visit the facility during construction and commissioning and throughout its operational lifetime to confirm that the information provided remains valid. When strengthening the safeguards system after detecting clandestine nuclear weapons activities in Iraq and North Korea, the importance of this measure was emphasized as a means to prevent the misuse of declared facilities. 12. “Complementary access” allows inspectors to carry out activities beyond those foreseen in the safeguards agreements based on INFCIRC/153. These visits are carried out frequently to continue to emphasize the transparency needed to provide assurance that no undeclared activities are under way within a state. 14. As for all non-nuclear-weapon states party to the NPT, the additional protocol that Tehran is expected to bring into force in conjunction with the conclusion of a final agreement between Iran and the P5+1 allows for no exclusions for military bases. States may request that managed-access arrangements be employed as a means to prevent IAEA inspectors from gaining information regarding national security concerns. The IAEA has conducted complementary-access visits at military bases in several states pursuant to an additional protocol. See Pacific Northwest National Laboratory, “Foundations of International Safeguards: Safeguards in the Nuclear Age; 3.0 Legal Foundations of Safeguards,” June 2006, http://cgs.pnnl.gov/fois/videos/foundations.stm (interview with Laura Rockwood). 15. A material balance is akin to balancing a checkbook. The amount of money in the checking account should be the amount at the beginning plus any deposits and less any withdrawals. If the bank indicates a different amount, there is a problem. With nuclear material, the balance is complicated because every amount is based on a measurement, and all measurements are subject to random and systematic errors. In some cases, measurements are not possible or are not made, and estimates are used. In case of shipments and receipts, a shipper will measure one value, and the receiver, using different measurement equipment and perhaps procedures, will measure a different value, all subject to measurement errors. 16. Ralf Wirtz, “Role and Responsibility of the Civil Sector in Managing Trade in Specialized Materials,” in Cultivating Confidence: Verification, Monitoring and Enforcement for a World Free of Nuclear Weapons, ed. Corey Hinderstein (Stanford, CA: Hoover Institution Press, 2010). The Lausanne accord anticipates that a dedicated procurement channel will be created to oversee Iran’s trade in certain nuclear-related and dual-use materials and technologies. 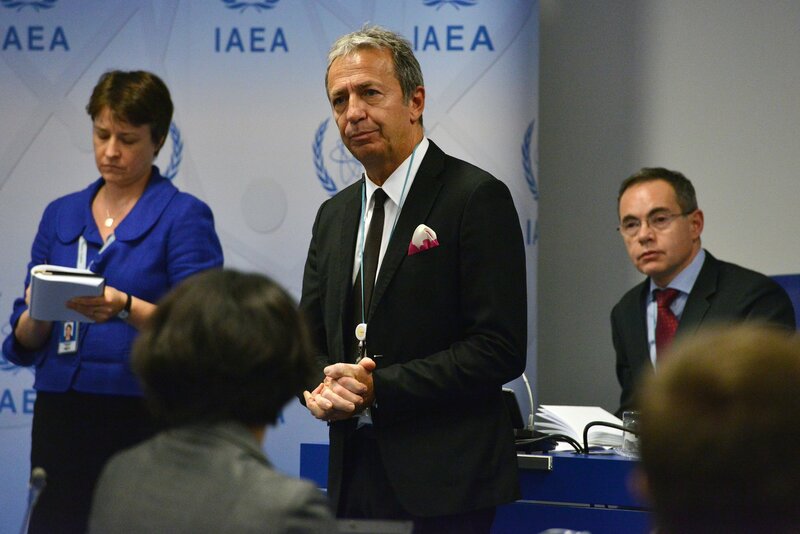 The final agreement will determine what role the IAEA will play in this effort.